MyPocketSchedules gives you a digital way to replace all your paper sports pocket schedules to follow all your favorite sports teams. 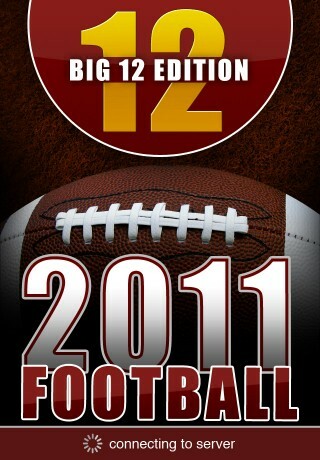 The Big 12 Football Edition comes pre-loaded with all the Big 12 Football teams and game schedules. Different from the Full or Lite MPS version – once you download the Big 12 Football version you have all your Big 12 Football schedules immediately – without needing to search and find each schedule to download. 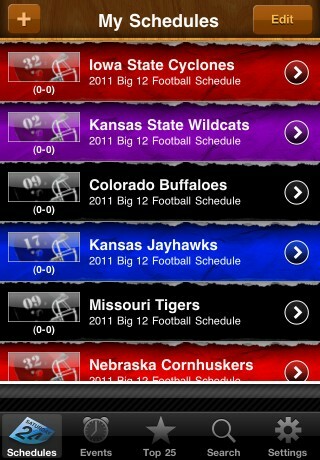 The MPS Big 12 Football edition gives fans and friends an easy and quick way to track games and scores without the confusion. 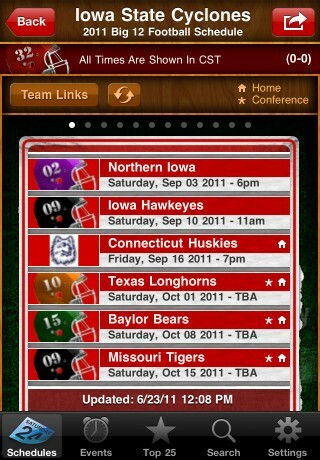 Schedules are shown in an easy to read and graphical layout giving you the ability to quickly find the game and scores you want. 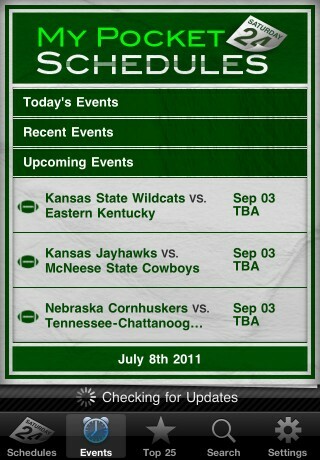 Using the finger swipe technology of the iPhone, the app allows you to quickly swipe through all your schedules in Big 12 including the Home Screen which displays all the recent activity! Use of team image does not imply endorsement of the organization by SilverTree Technology, LLC or vice versa. All images are upload by users stating they have the permissions to do so. SilverTree reserves the right to remove any images that do not follow proper guidelines. MyPocketSchedules is not endorsed or affiliated with the CLC or any conference represented within our Apps.